News: G-TD05 & G-BT03. The Link Jokers are coming! 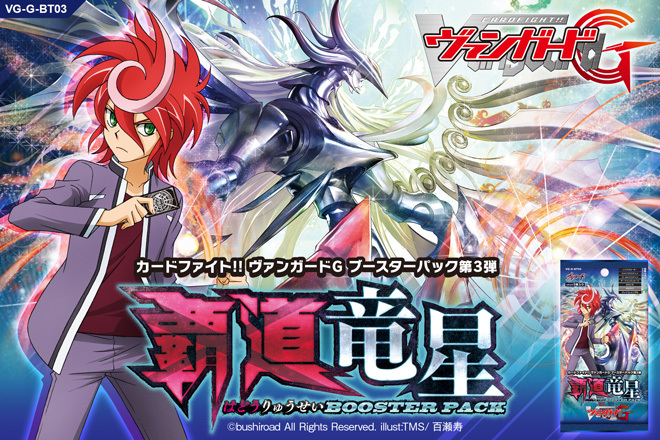 The Link Joker Trial Deck and the next Booster box. To be released on 29th May 2015. Fans can rejoice as this will be the follow up from the Neon Messiah movie released earlier. The designs itself look like it could be the Neon Messiah deck, and like the details of what the deck can do, will be revealed with time. For G-BT03, there will be boosts to Link Joker, Shadow Paladin, Gold Paladin, Murakumo, Dark Irregulars and Kagerō clans, and new Cray Elemental cards. 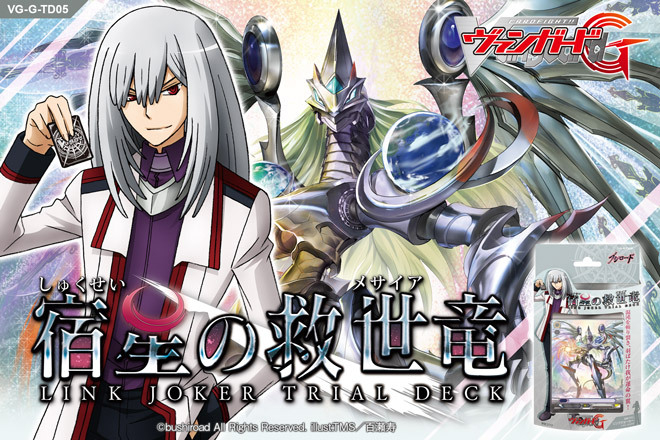 Link Joker is clear enough, with Ibuki’s Neon Messiah trial deck. But interestingly enough, Dark Irregulars are getting their boosts, alongside Murakumo. And what other Cray Elemental units are there gonna be, this time round? This will be interesting to keep track of, so stay posted.